Eat Your Heart Out Orlando - Eat See RV! We feel super lucky that we live in Orlando because we’re clearly not the only people that are this passionate about food. 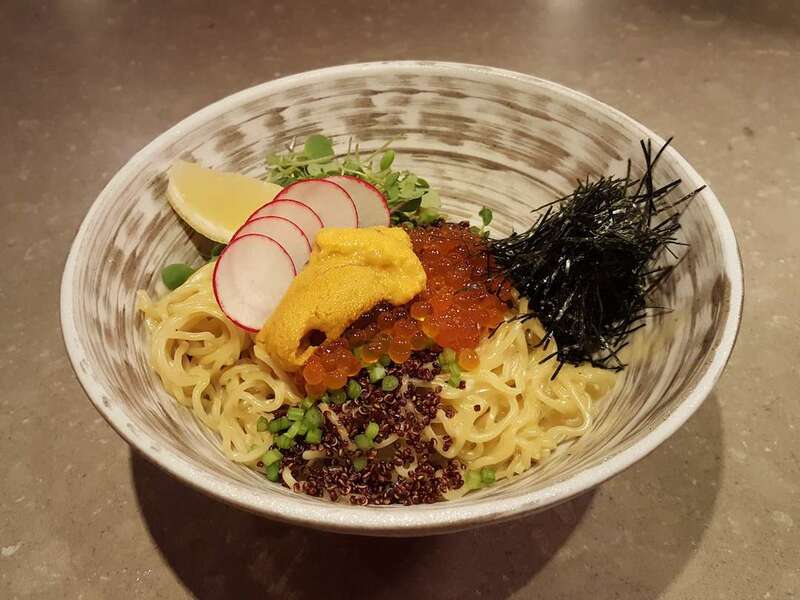 Orlando has an amazing food scene! 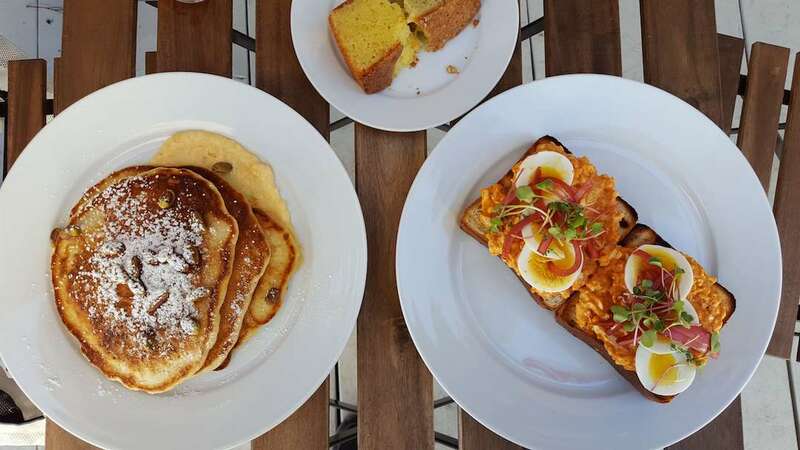 We will miss the restaurants on this list greatly, and by the time we return there will be a bunch of new places we could add to this list, but for now here are our favorite eats in Orlando. We hope if you’re in town you can try a few, you’ll be glad you did. 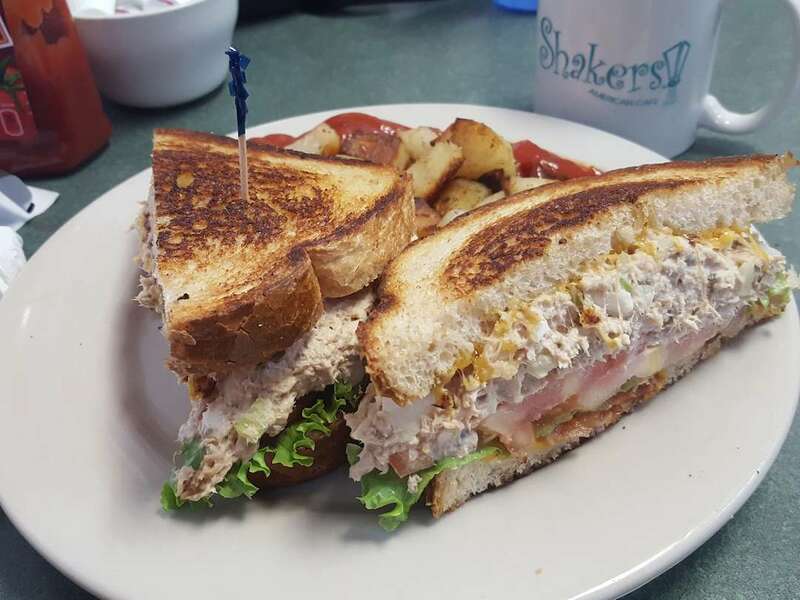 Shaker’s Cafe has a small town feel to it. 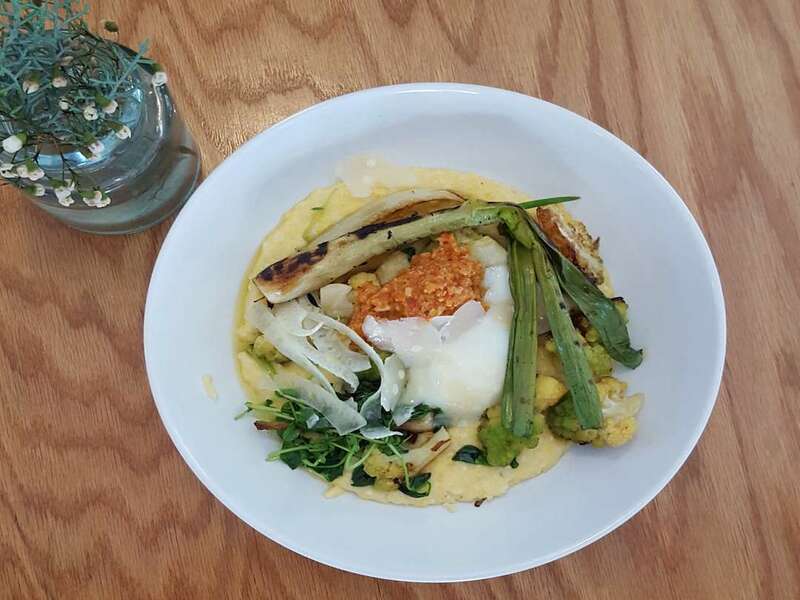 It’s a mom and pop breakfast and lunch joint in College Park (near downtown). Only open for breakfast and lunch you can grab a delicious omelette, pancakes or traditional breakfast (egg, sausage/bacon, and toast). While I loved to get breakfast no matter the time of day, their lunch choices were great too. They have a deli style menu, with choices from salads, sandwiches, or homestyle menu items (like meatloaf). Our favorites: Turkey Melt, Hungarian Beef & Cabbage Soup, Vegetarian Omelette with hash browns. 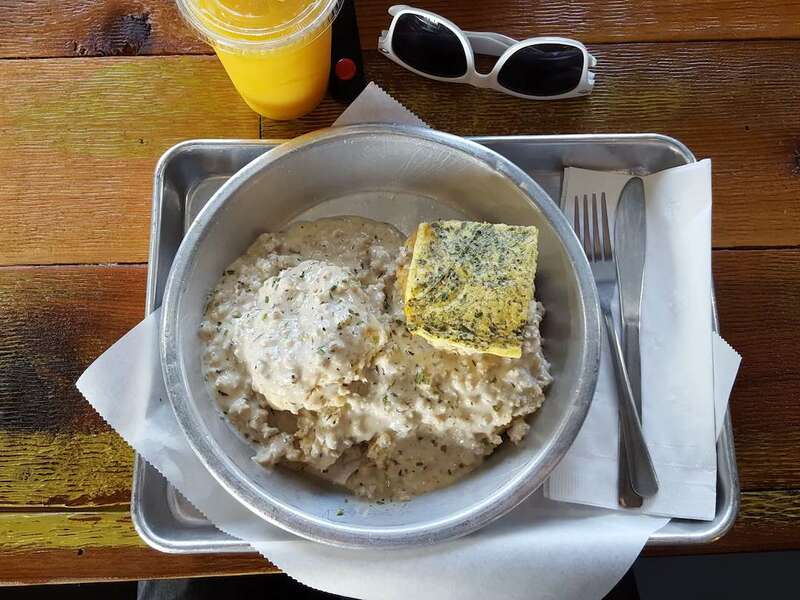 Buttermilk Bakery is in Winter Park and is a newer addition to the Orlando food scene. Again, only open in the morning/early afternoon for breakfast and lunch they have a killer baked goods selection, daily quiche that is to die for, and awesome brunch menu. 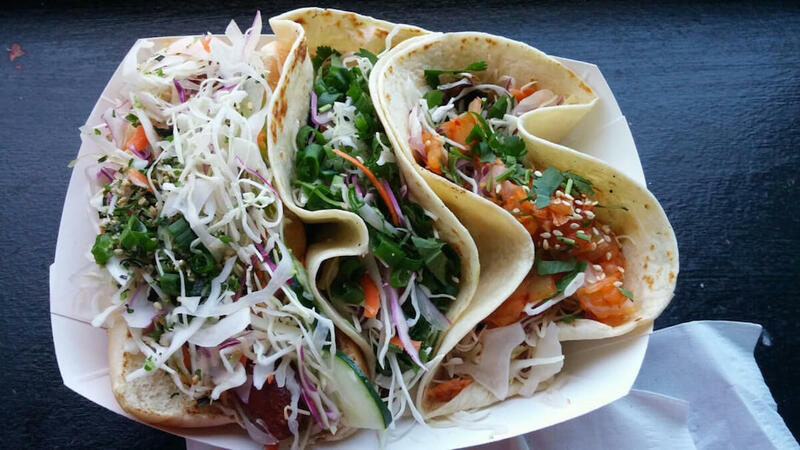 Their ingredients are fresh, everything made daily, and is super flavorful. It’s a family owned business with the head chef (the mom) of French origin. With that being said there pastry game is on point. Our favorites: Daily Quiche, Deviled Egg Tartine, Avocado Toast. Krungthep Tea House is relatively new to the Orlando food scene and is brining some major food game. 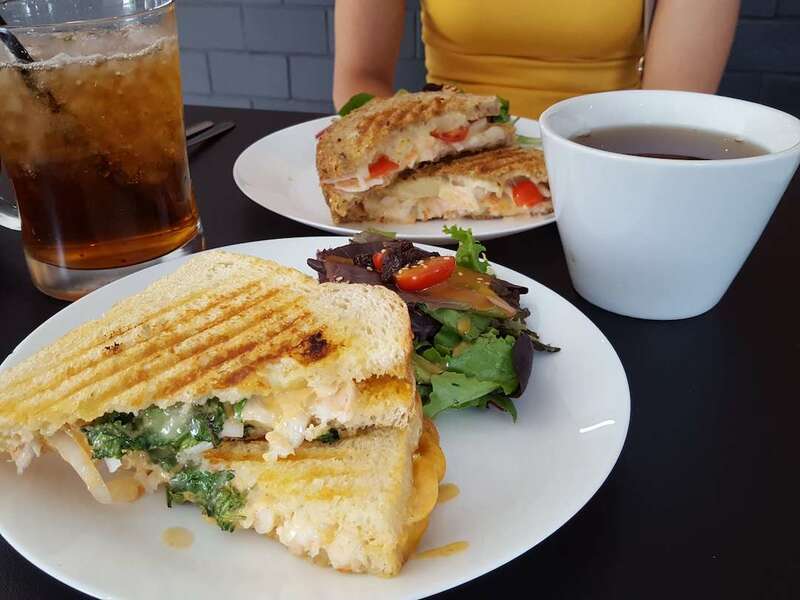 Their sandwiches (think grilled cheese-esque) are asian inspired and loaded with flavor and creativity. They have a huge variety of teas (3 pages of the menu worth) and amazing desserts. Our favorites: Sweet and Sour, Tomyum Goong, Green Curry. Porkie’s BBQ is a family favorite and local BBQ shop in Apopka, a suburb of Orlando. If you’re into meat and Barbeque this is the place for you. They have awesome briskit, pulled pork, ribs, and 3 different sauces to choose from to lather your BBQ up. The sides are also great too. While Liz doesn’t eat meet, she is happy to have any of the vegetarian side dishes. 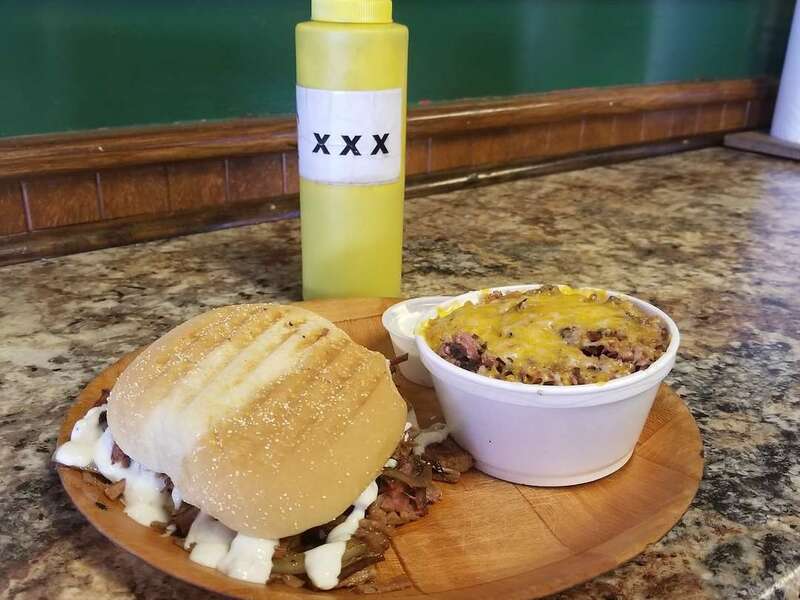 Our favorites: The Sloppy Cow (pulled briskit with sauteed onions with horseradish sauce on a bun), mac n cheese, fried okra, and tater hash. Pizza Bruno is a neighborhood favorite, local pizza shop, and hidden gem. 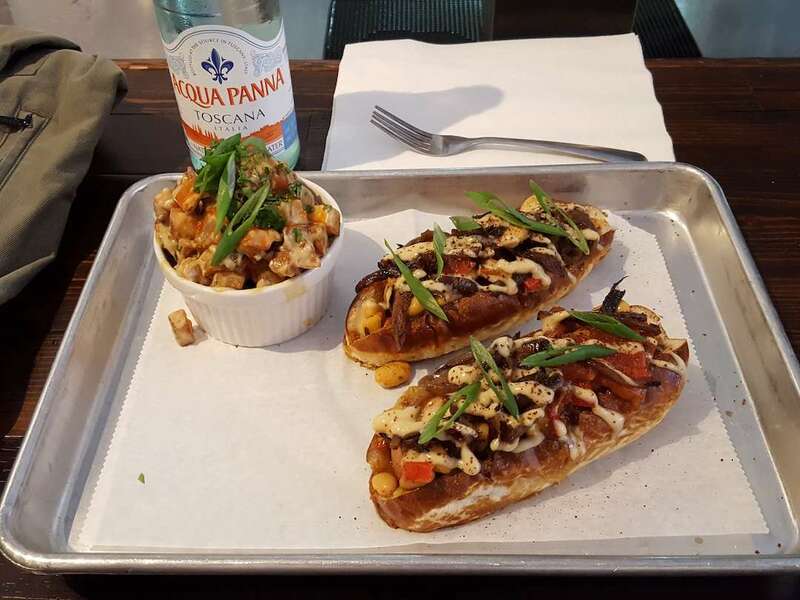 Off the beaten path in the family friendly neighborhood, Curry Ford, it shells out to die for pizza with creative and delicious toppings that are made by some of Orlando’s top chefs. This is not your average pizza joint and is probably our favorite restaurant in Orlando. (Domu may be tied). 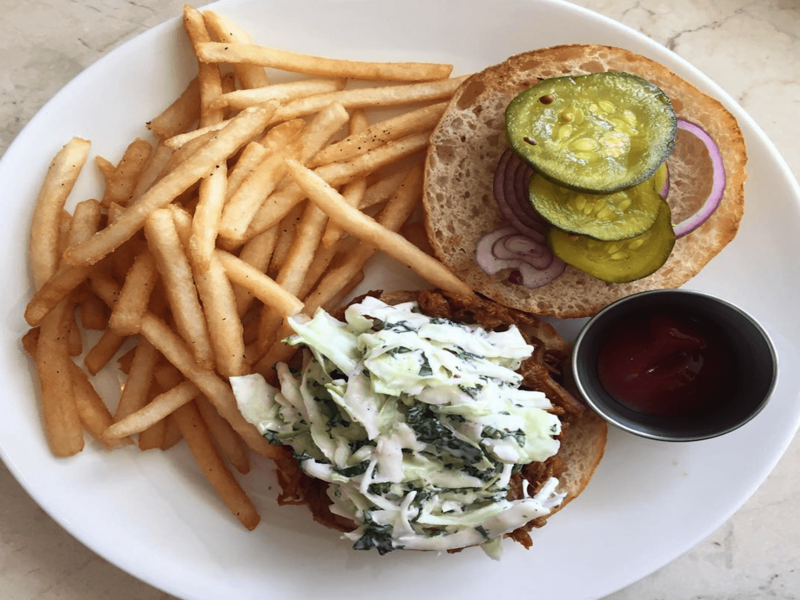 Everything on their menu is amazing – we even had our rehearsal dinner for our wedding here we love it so much. 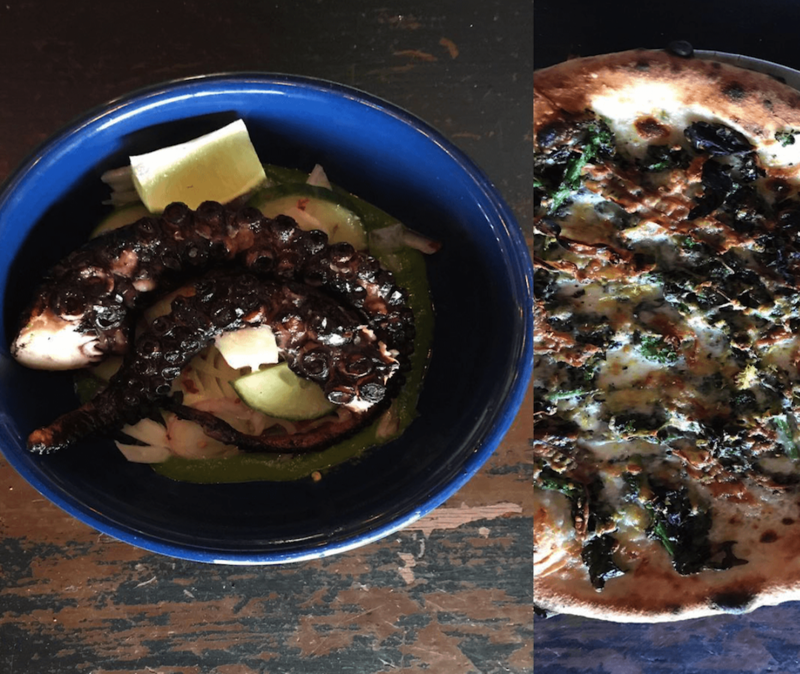 Our favorites: Wood Fired Cauliflower, Octopus, Garlic Knots (order these immediately they sell out and you will be very sad if you miss these), Kale Salad, Meatballs with Lemon Ricotta, Kbar, Viva Verde (we add Mozzarella). Enzo’s will be the only higher priced restaurant on our list because not everyone is able or willing to drop a pretty penny on a nice night out. If you are interested in finding a restaurant for a special night or simply for an amazing meal in an intimate setting, Enzo’s on the Lake is the place for you. Located in an older home on a Lake in Longwood (about 20 minutes from downtown Orlando), it’s charming and intimate with a southern Italian inspired menu. This is not your typical Italian restaurant with meatballs, eggplant parmesan, and chicken piccata. Their menu has delicious homemade pastas made daily (variety of stuffed raviolis, gnocchi, linguini, pappardelle, and more), variety of fish dishes, and a few meat menu items. We almost always order the special of the day for the pasta and fish and have a salad or antipasti selection for their antipasti bar. The found and the night will not disappoint you. Our favorites: Fish or Pasta of the Day, Lobster Linguini, Antipasti della Casa, Homemade Ice Cream (3 different flavors), Almond Cookies. 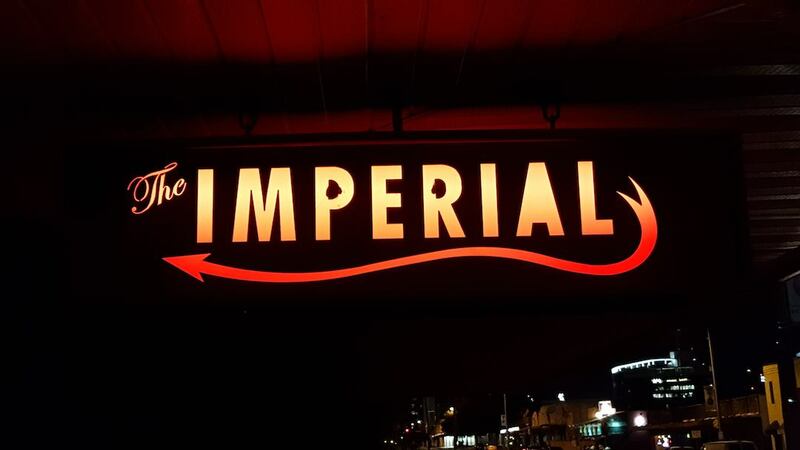 The Imperial at Washburn Imports was Dennis’ place of work and our favorite hang out. Liz spent most of her nights keeping Dennis company here while chatting with locals, enjoying great ambiance, and drinking delicious beer and wine. This bar is located inside of an imported furniture store. You can sit, shop, or simply admire the beautiful furnitures all imported from India, Indonesia, Bali, or southeast Asia as you drink craft beers or wine. There is no other bar like this and was voted as the best bar for a first date by Orlando Weekly. We will greatly miss this bar and the wonderful patrons and bartenders that make Imperial so special. Bitters and Brass is a new bar in Sanford (about 45 minutes North from Orlando) that is run by a friend of ours. It’s a no frills bar that mixes up delectable craft cocktails that range from traditional to adventurous and unique. 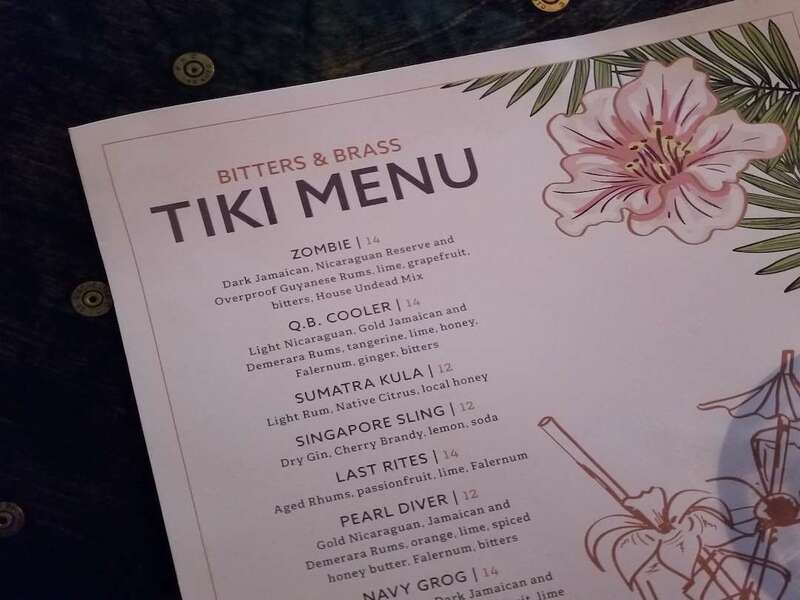 We loved the variety of the drinks on their tiki menu and it’s fun to watch them pick your ice from an enormous ice block. Hanson’s Shoe Repair is a speak easy in the heart of downtown Orlando. We don’t venture into downtown Orlando often anymore because honestly, we’re over fighting through crowds, trying to find parking, waiting a long time for crappy drinks, or dealing with lots of drunk kids. With that being said, we will go downtown for Hanson’s. To get in, you’ll have to call their phone number prior for the daily password. When you walk inside you feel like you are transported back into the 1920’s. They spared no expense on making this feel like a real speak easy. 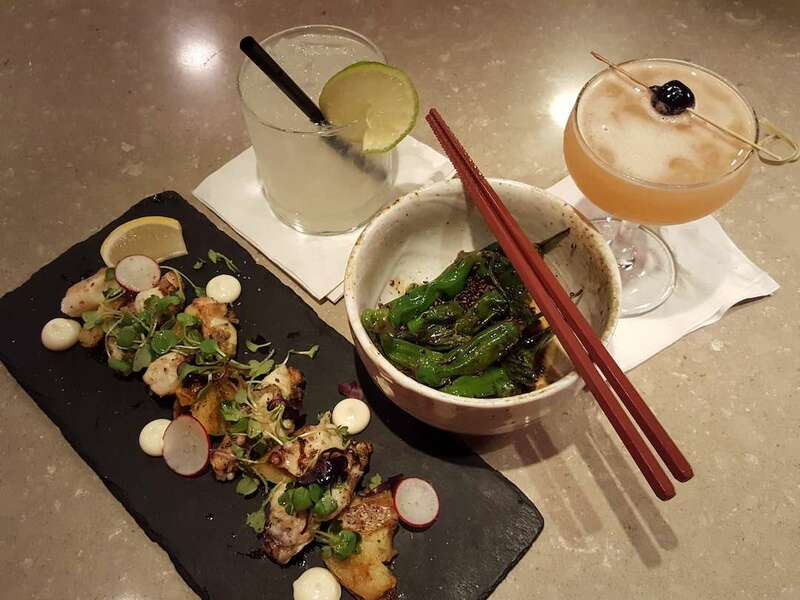 Their drink menu is small, but is focused on specialty cocktails that change seasonally. There is an outside patio where you can drink under the stars and enjoy each others company. Thirsty Topher is a local one stop shop for great beer at an affordable price. 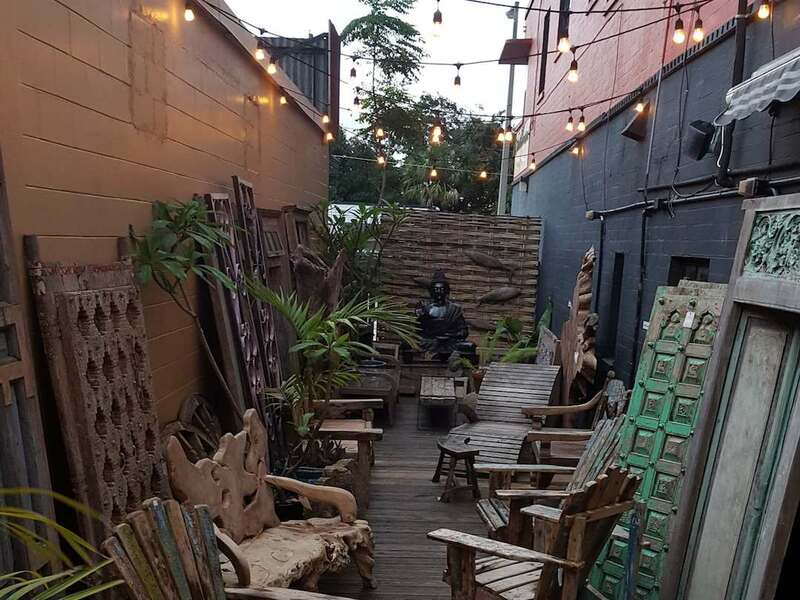 Located in the Ivanhoe District (near Imperial Wine Bar & about a 5 minute drive from downtown Orlando), it’s a small bar that has a great craft beer selection. Most nights you can enjoy a cold one in with yummy fair from one of the several food trucks that frequent there. You’re extra luck if Sushi & Seoul on the Roll is there! Lil’ Indies is a local bar next to a music venue, Wills Pub, in the Mills District (near Thirsty Topher & about 5 minutes from downtown). It’s definitely an eclectic bar that features local artists, unique cocktails (the Curry Mule is bangin’), that caters to a specific “artsy/hipster” crowd. If you can look past the young hipsters that hang outside smoking waiting for their concert to start again next door, you will greatly enjoy their drinks and live music or DJ. You’re in for a real treat if Eugene Snowden is playing there (he often plays for special occasions). Sanford Breweries are becoming more and more popular and are putting Sanford on the map for good reason; there is a ton and there making great brews. You can explore what Sanford has to offer through a walking tour or cycling tour (pedal your way to your next beer stop). Must visits on the map are Wop Hop’s, Sanford Brewing (get their pretzel with beer cheese), and Celery City.